Vermillion, South Dakota lies atop a bluff in the far corner of the state where Iowa, Nebraska, and South Dakota converge. It’s known for friendliness, its rich Native-American history, and as the home of the University of South Dakota (Go Coyotes!). WE know it best for its collegiate hydrotherapy program. The leaders of this emerging program are Bruce Fischbach, head athletic trainer/assistant athletic director and Kylea Sheley, athletic trainer and aquatic guru. Fischbach has been running the athletic training department for 32 years and he’s seen their staff more than quadruple in size. 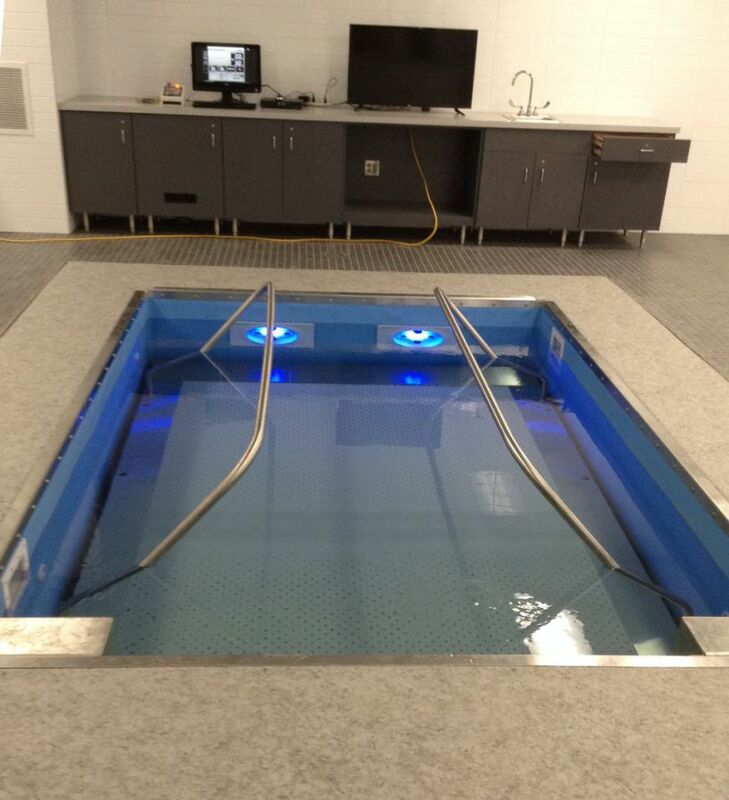 Two years ago they moved into the state-of-the-art in the Sanford Athletic Training Room in the Sanford Coyote Sports Center, featuring three HydroWorx pools. But it’s not just their modalities that will propel this program. These athletic trainers are passionate about water. The school invested in a HydroWorx ThermalPlunge, PolarPlunge, and 2000 Series Pool with 8×12’ underwater treadmill, camera system, and resistance jet technology. A ground-breaking aspect of the Coyotes’ training program is its involvement with the university’s physical therapy and occupational therapy school. When the SOSMC was built two years ago, the physical therapy (PT) program vacated its former home in USD’s Sanford School of Medicine to become neighbors, modality partners and collaborators with the athletic training department. Athletic trainer and recipient of the 2018 Harry E. Settles Contributor of the Year, Kylea Sheley, appreciates the cooperation between the PT students, their faculty and the athletic training department. Even more than physical benefits are the mental or emotional gains achieved for both the student-athletes and clinic patients, believes Sheley. She’s seen the interaction between student-athletes and clinic patients as a powerful life-building tool for both. She says the students gain great appreciation for the life-long challenges that some of their peers may experience; the clinic patients love rubbing shoulders with the student-athletes, many of whom provide significant entertainment for Vermillion, South Dakota’s 10,000 ‘Yote faithfuls. Athletic trainers at USD provide most of the facility tours for recruits. 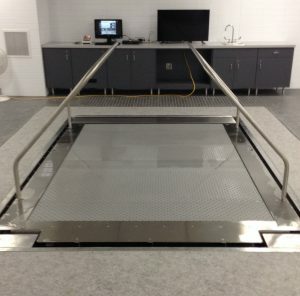 They start with the hydrotherapy room, pointing out the benefits these modalities could provide to the students’ health and longevity as athletes. Because of the additional space—both inside the new pools and in the hydrotherapy room itself–student-athletes no longer wait for an acute injury to utilize the pools. A favorite example of how they’ve seen water change lives comes from a member of the women’s basketball team. A player with no less than six previous knee surgeries approached her final surgery—addressing an OCD lesion—just after the HydroWorx 2000 arrived in the training room. This student-athlete began the season in the best shape of her life, Sheley explained, and went on to win several post-season all-conference accolades. Sheley and Fischbach are just getting started. We look forward to seeing what the future holds. Amazed by this !! Kudos.